Working with Chef Evan Podd Catering makes organizing an event stress free. 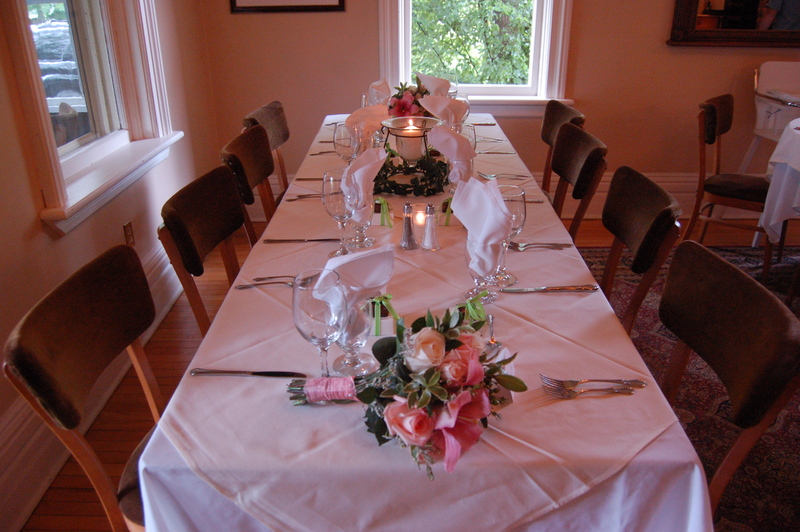 We work with you to coordinate all the necessary elements from menu to table linens. We also ensure that there is well trained professional staff on site to cater to all your needs and ensure that you event goes smooth, so that you have to do as little as possible. When deciding on menu, we will guide you on the appropriate choices and amounts, based on the volume of the guest and the type of event you are hosting. Wh ether you are looking to have a cocktail party, wedding, family dinner, or lakeside party, we will design a menu suited to your tastes and needs. Knowing what you will need in the way of tables, linens, glasses etc can be overwhelming. We will help you to decide what will work best and what you will need. We also provide a variety of choices in the way of colors and styles for your table dressings, so that the style of your party will be seamless. Whether you are looking for a full service catered event, dinner drop off or pick-up service, or a weekend long summer cottage party service, we are here to help you make your event the best it can be. We are fully equipt to cater at any location. Our catering trailer allows us to have an operating kitchen that we can take with us where ever we go. Be it your office or a harvest farm feast, we are prepared to offer the best of our services anywhere.